← Quick! What’s the Ninth Largest Country in Area? I read Adams vs. Jefferson: The Tumultuous Election of 1800, by John Ferling. I was reminded of the similarities between the presidential campaign of 1800 and the one currently in play in the USA. 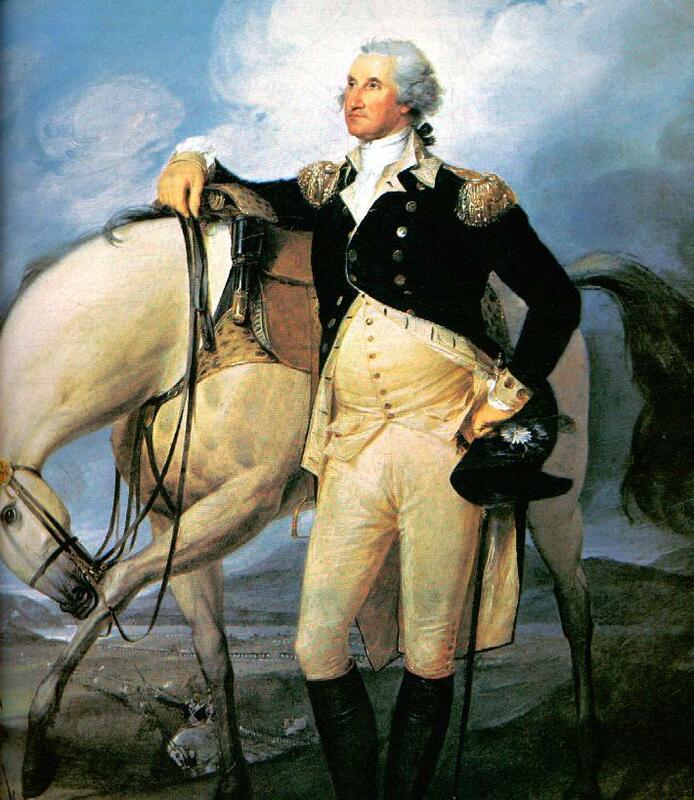 President Washington served two terms from 1789 until 1797. 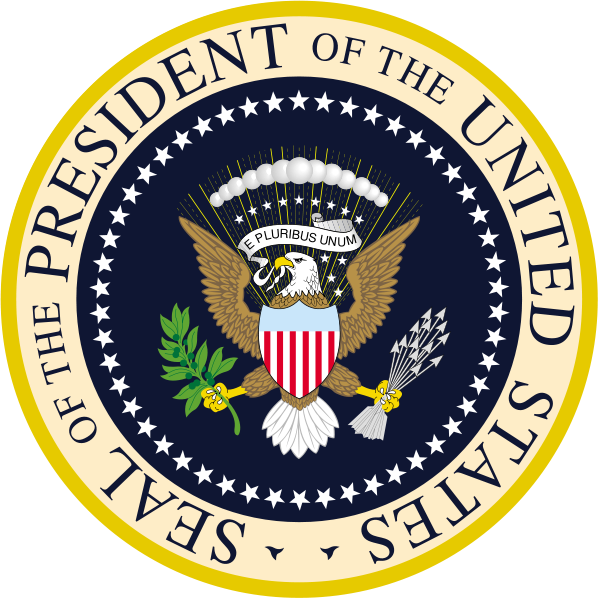 Prior to his presidency there were around 20 “Presidents of Congress” in the first and second Continental Congresses from 1774 to 1781, and in the Congress after the ratification by the states of the Articles of Confederation in March,1781. Some of these presidents served more than once. John Adams was Washington’s vice president because he received the second largest number of votes from the Electoral College in the elections of 1788 and 1792, but the ticket of these two men was not contested by others, in deference to the immense political and personal stature of George Washington who chose Adams as his running mate. Adams won the presidency in the election of 1796 and Thomas Jefferson received the second most votes to become the vice president, in the first contested American presidential election and the first one to elect a President and Vice-President from opposing tickets, exposing a downside to the original Electoral College system. The rules were changed in this regard by the 12th Amendment to the Constitution in 1804. The parties of Adams and Jefferson were, respectively, The Federalist Party and The Democratic-Republican Party (which later became the present-day Democrat Party). To set the stage for the political conflict between Adams and Jefferson, another extraordinary man must be introduced: Alexander Hamilton. With John Jay and James Madison, Hamilton wrote a series of papers (published in book form as The Federalist, 1788) urging the people of New York to ratify the new constitution. His brilliant essays on the need for a stronger union, the utility of a national taxing power, and the importance of the executive and judicial branches of the federal government became classic statements of his political philosophy of strong leadership in the public interest. At the New York ratifying convention of June-July 1788, Hamilton and his allies defeated the previously dominant antifederalist forces in the state. The political map of the United States in 1800 could be seen as the “red” and “blue” we now employ to designate those states leaning toward Republicans, or Democrats, respectively. Although this analogy is not entirely translatable to the past, the “reds” were the Federalists and their sympathizers, and the “blues” were the Anti-Federalists or Republicans. Another way to characterize the parties: the Federalists as elitists and crypto-monarchists; the Republicans as anti-federalists and populists. 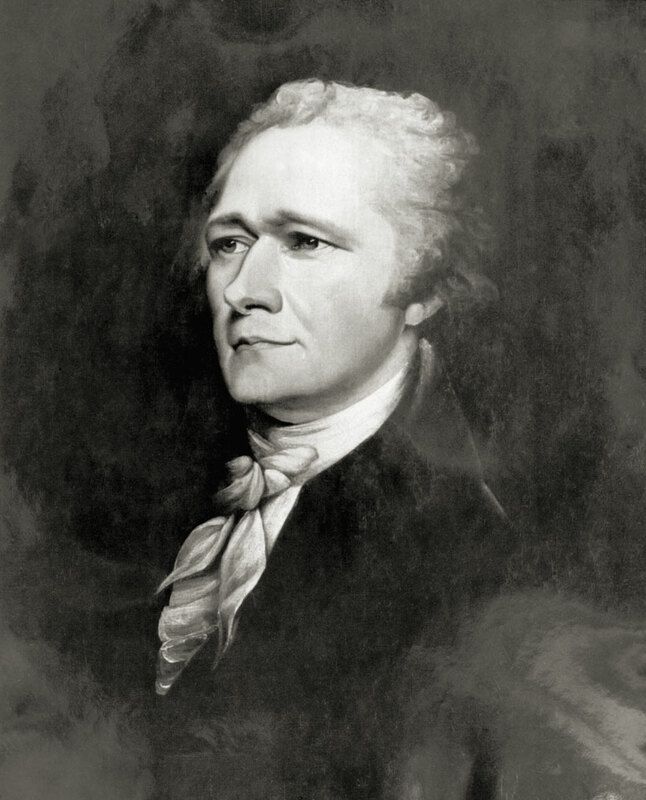 Hamilton was the driving force among the Federalist party and like-minded people, some of whom were still emotionally wed to a strong central government with a kingly leader—and with themselves as the aristocracy. Hamilton had served under General Washington in the army of independence and gained his admiration and support in many matters after independence was gained. Adams was a Federalist, but not the firebrand that Hamilton uniquely was. Hamilton preferred another candidate over Adams in the Federalist Party and worked diligently to prevent Adams to get to the top of the party’s ticket. 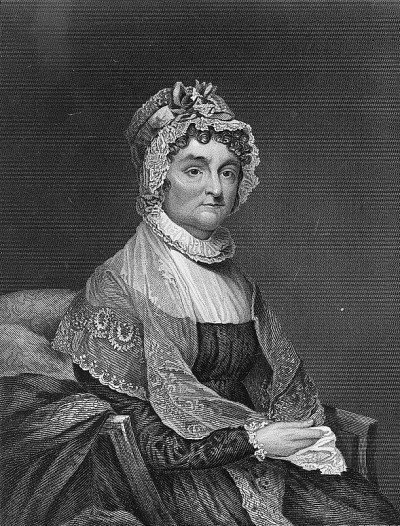 Over time, Adams, and wife Abigail Adams thought Hamilton a sort of fiend or devil. Jefferson was a democrat by moral inclination, even taking the position that slaves were not subhuman but full-fledged humans, despite being a slave-holder. He was for the widest possible suffrage, not to be limited by class and property qualifications (adult, non-slave males only, at this time). Thus the stage was set for the second contested presidential election in the United States, with the political parties more clearly defined and with more partisan energy than in the 1796 election when Jefferson was not as sure as he now was, in 1800, that he wanted to be president. Now follows a series of brief quotes from the book Adams vs. Jefferson to show the rancor and exaggeration from and within both sides of the political dichotomy in the USA of 1800. [T]hirteen months before election day…Pennsylvania’s Senator James Ross introduced legislation to create a “Grand Committee”—it was to consist of the chief justice of the United States and five members of Congress—to adjudicate any disputes in the election of the president. As the chief justice was a staunch Federalist, and as that party controlled both houses of Congress, Ross’s bill seemed…to be an attempt by the Federalists to steal the election. The bill went nowhere, but its introduction and the Repblican response to it—one who was close to Jefferson labeled it a “deadly blow…aimed at us”—was a signal that the presidential contest was underway. So too was the publication a few weeks later of James Callender’s The Prospects Before US. A Scotsman with a poison pen, Callender had been forced to flee to…Philadelphia (in 1793) to avoid arrest…The pamphlet that got him in trouble…,an assault on the British constitution in the old country, had been read with delight by Jefferson while he was secretary of state. Jefferson also savored Callendar’s subsequent work, especially when he not only lashed out at Hamiltonianism but broke the the story in 1979 that while Treasury secretary, Hamilton had been involved in an extramarital affair with a married woman and supposedly…provided her husband with public monies and insider information to purchase his silence. Thereafter, Jefferson visited Callendar in his lodging and agreed to underwrite additional malicious squibs. Soon other Republicans with deep pockets came forward…to bankroll the journalist. Calumny dripped from Callender’s pen in several essays that he wrote during the next year…He called Hamilton “the Judas Iscariot of our country” and charged that he was a monarchist willing to sell out his the United States to Great Britain. Callender’s hatchet jobs soon landed him in trouble…[T]hugs visited his apartment, terrorizing his family and curtailing his literary productivity. The Sedition Act stopped it altogether. 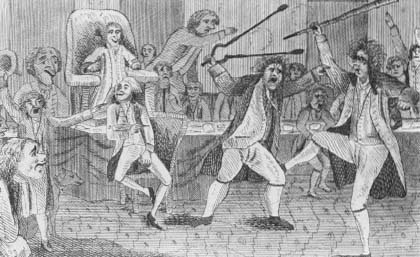 What I heretofore have not mentioned in this narrative is the passage of the The Alien and Sedition Acts of 1798, sponsored by the Federalists…intended [in part] to quell any political opposition from the Republicans, led by Thomas Jefferson. This story is too large to present here, but the reader should be aware of the poisonous atmosphere it generated in the young nation regarding “freedom of speech” which Jefferson and his fellow Republicans, and many other people, treasured, especially as it was (and remains) encased in the First Amendment to the US Constitution. One act — the Alien Enemies Act — is still in force in 2008, and has frequently been enforced in wartime. The others expired or were repealed by 1802. Thomas Jefferson [when president] held them all to be unconstitutional and void, then pardoned and ordered the release of all who had been convicted of violating them (Source). In Chapter 10, “The Boistrous Sea of Liberty” the author of Adams vs. Jefferson shows us many unbridled verbal and written attacks by one party and its leaders against the other party and its leaders, and also within the Federalist party under Hamiliton’s leadership against Adams in favor of Thomas Pinckney for the top of the Federalist ticket. Jefferson and his fellow Republican, Aaron Burr, ended up in a tie vote in first place over Federlists Adams and Pinckney. The final outcome, after many votes in the House of Representative, was that Jefferson won the presidency and Burr was vice president. Although Jefferson’s claim of a “revolution of 1800” was exaggerated, his famous postmortem was not absurd. 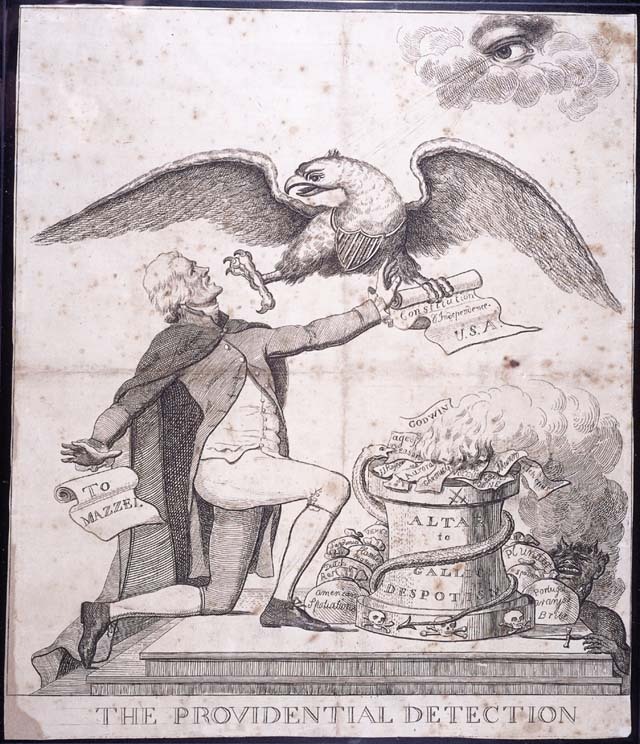 While his election was not as revolutionary as independence had been in 1776, Republican governance came with a new tone, a new style, and a new ideology that enabled the nation to move piecemeal from the habits of 1800, laced as they yet were with restrictive customs that had persisted from colonial days, toward egalitarianism and democratization. It was a transformation that many of the consolidationists [Federalists wanting a strong central government over the former colonies] had sought to inhibit through the Constitution of 1787 and that the Federalists had eagerly attempted to forestall when they fought to thwart Jefferson’s election in the House of Representatives. No one is free from bias and I admit my bias matches what seems to be that of the author; that is, in favor of Jefferson’s point of view. This may or may not account for my citing more examples of the Federalists’ intemperate diatribes than of the Republicans’, including Jefferson. To correct his possible bias I state here that it seemed both sides were just about equally rancorous toward their adversaries, although Jefferson (via the author) seemed less inclined to personally, or at least publicly, engage in such behavior. As the author goes on to say in the balance of the “Epilogue,” this election set the tone for most others to follow. More importantly, it established the framework for the two-party system we now employ, if not enjoy, and broke us away from the lingering sentiments toward the parent country, Great Britain, and its imperial and aristocratic nature. We became truly “American” (USA-style) upon the final outcome of this election of 1800. This entry was posted in Government & Politics, History and tagged "Adams vs. Jefferson", Aaron Burr, Alexander Hamilton, Democratic-Republican, Federalist party, George Washington, John Adams, John Ferling, Thomas Jefferson, Thomas Pinckney. Bookmark the permalink. an excellent history lesson that ties in with current events. especially considering last nights debate. well written. I am more and more convinced that Jefferson was a very great man, despite the sometimes inconsistency between his stated beliefs and his deeds. E.g., he decried slavery yet he held slaves. He decried the aristocracy (of New England, at least) but he himself was an aristocrat. He was inarticulate in speech, but his writings were unsurpassed in clarity and purpose. he was a confusing man in terms of what he did and what he said. its the classic do as I say not as I do. but there is definitely something to be said for a man who can realize societal ills while still being very much a part of that very society.